This is a story about clothing. It’s about the clothes we wear, the people who make them, and the impact the industry is having on our world. The price we pay for clothing has been decreasing for decades, while the human and environmental costs have grown dramatically. 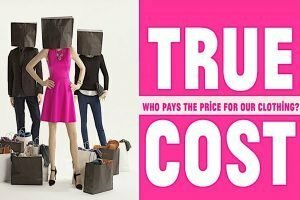 “The True Cost” is a documentary film that uncloaks the story and asks us to consider, what are the costs, who really pays for our clothing, and what is their currency? Filmed in countries all over the world, from the brightest runways to the darkest slums, and featuring interviews with the world’s leading influencers, “The True Cost” is a project that invites us on an eye-opening journey around the world and into the lives of the many people and places behind our clothes. Is this fair trade? Living wages? Environmentally sustainable? It invites the question, how do we change clothes? There is an event flyer you can post to get the word out by clicking at TrueCostFlyer . Doors open at 6:30 pm for conversation and refreshments. Please plan to stay after the film for audience discussion about the film and its topic. 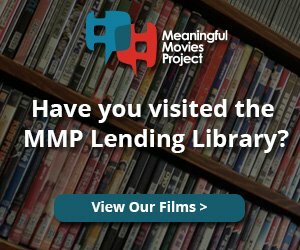 The event is free, but a $5 donation is appreciated to cover expenses, including the licensing fee required to screen the film, the cost to rent the venue, and snacks. Thank you!